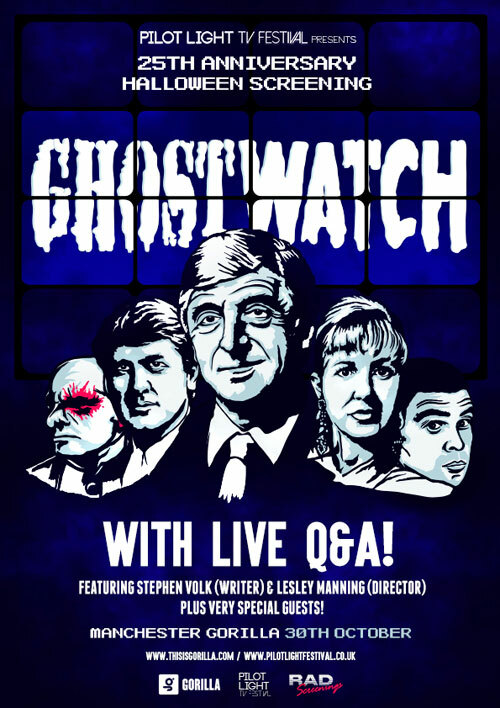 Undeniably one of the most frightening TV events ever broadcast, Ghostwatch returns for a big screen outing to celebrate its 25th birthday. 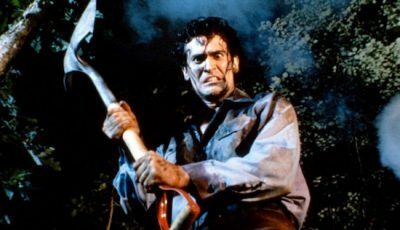 Preempting the found footage craze and today’s “fake news”, the Halloween “special” shown on the BBC in 1992 shocked audiences to the point of panicked calls to the broadcaster, demands for it to be banned, and many sleepless nights. “No creaking gates, no gothic towers, no shuttered windows. Yet for the past 10 months this house has been the focus of an astonishing barrage of supernatural activity,” says Michael Parkinson as he introduces an unsuspecting audience to a night of terror. I was too young to stay up late on Halloween night 1992. I’m actual quite thankful. 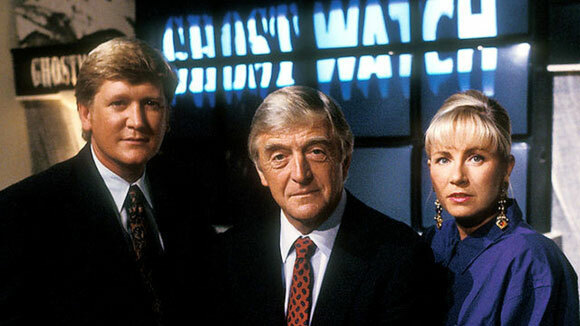 As an impressionable pre-teen who had seen the likes of An American Werewolf In London and The Omen cause me countless sleepless nights, hindsight tells me I lucked out not being old enough to stay up late and watch Ghostwatch with my mum. The notorious TV “event” was way ahead of its time. 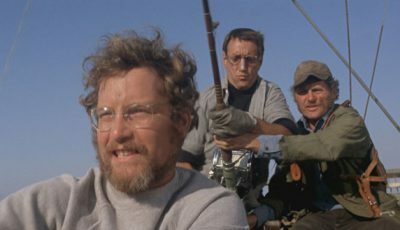 The mockumentary format is now so recognisable – from the work of Christopher Guest (Best In Show, Waiting For Guffman) to the beginnings of the found footage craze (starting most notably with The Blair Witch Project in 1999) and the eventual popularity of the genre on with countless examples from both the British and American versions of The Office to New Zealand’s Flight on the Conchords. All owe a debt of gratitude to Ghostwatch. 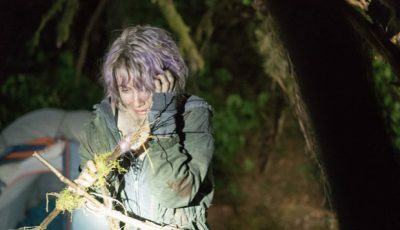 Directed by industry veteran Lesley Manning and written by The Awakening screenwriter Stephen Volk, the 90-minute live event took viewers into an alleged haunted British home. We see interviews with the mother and her daughters, each detailing strange, unexplained occurrences. If you’re familiar with the real life Enfield haunting on which The Conjuring 2 was based, you’ll see similarities between it and Ghostwatch. The genius of this film is its execution: it’s approach is casual but the subject matter is taken seriously, the constraints and challenges of live TV broadcasts are evident, adding to the realism while our suspension of disbelief is completely overwhelmed by the perfect casting (fronted by acclaimed TV personality and journalist Michael Parkinson and supported by faces we’d come to know for their honesty and integrity on everyday TV). There was no indication we were watching a piece of fiction. When things start to go truly wrong – presenters clearly spooked, technical issues, live phone-ins detailing entities in the background – Ghostwatch finds a way to grip its audience like very few TV dramas before it or since. The live phone-ins shown in the film are scripted but Ghostwatch was so believable that the BBC started to receive panicked complaints. Audiences believed what they were seeing was real. We were hoodwinked! It is thought around 30,000 calls were made to the BBC from frightened audiences watching events on their television sets at home. There were even suggestions people suffered post-traumatic stress disorder. So impactful was Ghostwatch, the BBC never screened it again. If you’ve never heard of Ghostwatch, that’s not surprising. In the UK you won’t see it broadcast on TV and it did not earn a theatrical release, while screenings internationally have been limited. Unsurprisingly it has developed a cult following, in part because, for a long time, it was impossible to see unless an acquaintance had been savvy enough to record its original TV screening on trusty VHS. Thankfully, the BFI released a good quality DVD in 2002 and another version was released by 101 Films in 2011. The screenings in both cities will feature a q and a with writer Stephen Volk and director Lesley Manning plus other guests. Followed by full episode screening of the notorious BBC show. Followed by full episode screening of the notorious BBC show, starting exactly 25th years after the original episode aired at 9.25pm.